One thing that can usually be said about moving day and agreed by everyone is that you probably want to forget it as fast as possible once it’s done. If you’re to achieve that, what you won’t want to find is that for days, weeks and months afterwards, you’re embroiled in legal disputes and squabbling over what you removed from your old property or what the ex-owners removed from your new home. Don’t underestimate how ‘touchy’ people can get over these things, even when small sums of money are involved. What follows here is general advice because some of the issues can be legally complex and interpretations will differ from one situation to another and certainly from one country or state to another also. Don’t hesitate to contact a solicitor for precise definitions and a professional furniture removals company should also be able to offer advice. You’re allowed to take with you all of your personal possessions – but only those that are ‘movable’. Those items that are considered to be part and parcel of the property, being its structure or fixtures and fittings, cannot be removed as they will typically be deemed to have been sold to the new owners. If you do wish to remove something that is part of the fabric of the property or a fixture/fitting, in order to protect your interests, you should specify this in your sales contract and get it validated by the buyers as part of the legal contract exchange. Although this principle is clear and well understood, in practice, very precise definitions can be a nightmare even for qualified legal professionals. Take, for example, gardens. Plants in movable pots are normally considered personal possessions but plants in the ground are considered part of the property. So, if a tree in the garden is one you planted and it has great emotional value, then before uprooting and taking it with you, make sure the buyers have agreed to that in the contract. Another classic cause of dispute is kitchen appliances. Some of these are fitted and integral, others are free-standing. This can be very difficult to untangle in terms of definitions, so again, be specific in your contract of sale about what is included and what isn’t. Generally speaking, what you’re looking for is to ensure that everything you expected to be in the property is, in fact, there. The position for you should be the reverse of that outlined above. It’s worth noting that sometimes legally ‘taking possession’ can be something that takes place ahead of actually moving in. 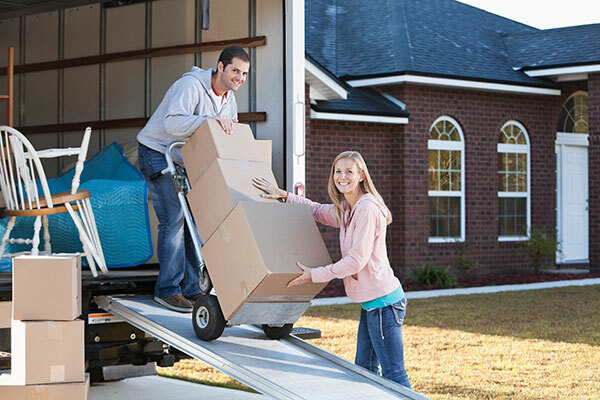 So, you may need to do two separate inspections, one at the time you take possession and another before allowing your removals company to start unloading your furniture the day you move in. Typically, if you’re happy with the property when you take possession, then if the ex-owners remove anything subsequently they may be committing a criminal offence, as they no longer have a right of access. Even so, it’s far from unknown for such things to happen, so do inspect quickly again the day you move in. If anything has been removed and you believe it should be (or was) in place, you should take photographs and notify your solicitor immediately. Try to get a signed witness statement from an independent third party (perhaps your removal company’s representatives) to support that “XYZ isn’t in place”.